We have been provided with one of the STEMWorks grants to upgrade our facilities and pedagogy in the STEM learning areas. Building is expected to start in the middle of 2017 with completion early 2018. More information will be forthcoming shortly. 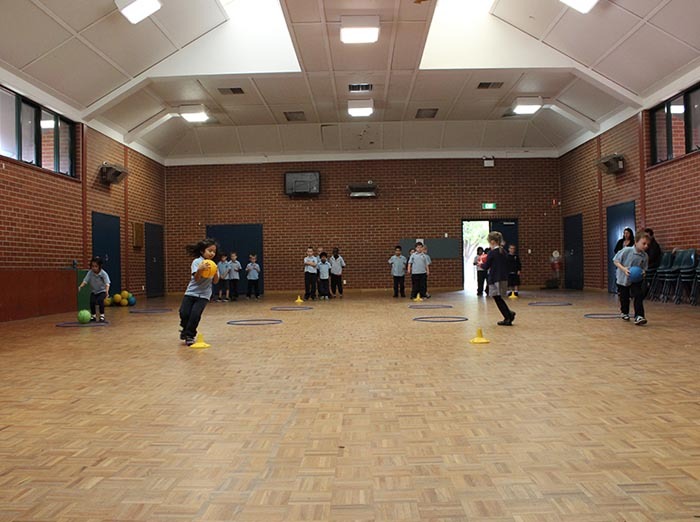 Physical activity and sport are an integral part of the Hillcrest Primary School curriculum. 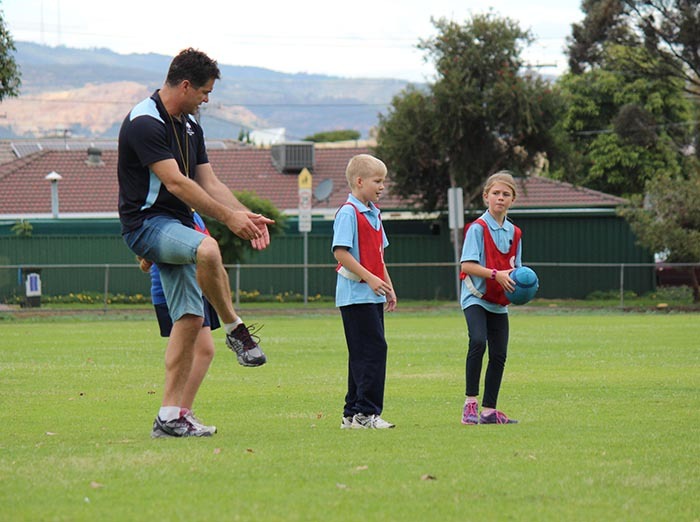 Recent research has shown that there is a correlation between children who are taught physical education by a specialist PE teacher and improved NAPLAN test results in numeracy and writing. Cam Grigg is our specialist PE teacher and children spend time on fitness related activities, which incorporate learning games, fair play, strategy, coordination, movement, skill development, strength, balance, flexibility, endurance and group work. Our annual school sports day and our PE week celebrations are major events in our school calendar, as well as taking part in The Premiers Be Active Challenge. All students have lessons in the Performing Arts taught by Louise Kates. They develop their confidence, creativity and skills by performing other artists’ work and learn to work in groups to create, compose and perform their own Music/Dance/Drama in front of an audience. Students learn to be respectful audience members and to discuss their responses to performances showing an understanding of the elements of each of the Arts forms. 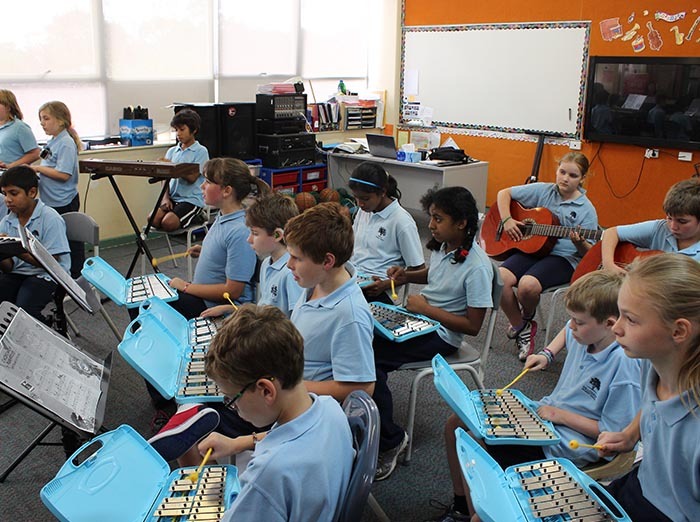 At the end of the year, the students perform with their classes in a concert or musical play that brings together their learning in Performing Arts. Our school choir was first established in 2012 led by Deb Williams who has continued to coordinate this valuable school program. Students in years 5, 6 and 7 have the opportunity to join the Hillcrest School Choir and perform at the Festival of Music at the Festival Theatre. We have had many of our students selected for solo spots for this prestigious performance. The choir also performs regularly throughout the year at school and community events. Cam Grigg and Louise Kates organise SAPSASA sport opportunities for children, for both individual pursuits and team sports. Over the years, we have had representation in the sports lacrosse, cricket, football, athletics, cross country, basketball, netball, swimming, soccer, golf, tennis, touch football and volleyball. Parent and caregiver volunteers help out enormously with transport, training and umpiring and we value their contribution. Please inform Cam or Louise if individuals have skill or interest in a particular sport. This is a curriculum based program supporting the development of water safety skills, knowledge and understanding in, on and around the water as part of the health and physical education learning area. The primary program has a swimming, surf education and aquatics component for students from Reception to Year 7. At Hillcrest Primary, students from Reception to Year 5 have a week of swimming lessons and students in Years 6 and 7 have a full day of aquatics/surf education at West Lakes Aquatic Centre. Currently the History curriculum is taught across the school by Cam Grigg. Students attend weekly sessions held in our school library that focus primarily on the following year level descriptions: Reception – Personal and Family Histories, Year 1 – Past and Present Family Life, Year 2 The Past in the Present, Year 3 – Community and Remembrance, Year 4 – First Contacts, Year 5 – The Australian Colonies, Year 6 – Australia as a Nation and Year 7 – The Ancient World.